leader/head church administrator. The ministerial couples left because of the misappropriation of funds. When they asked Pastor Jose questions, his response was that he was he charge and not to question his decisions with the finances. 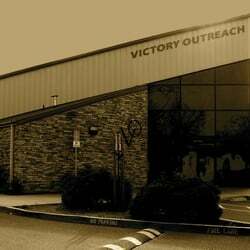 See in Victory Outreach, especially VOSR, the Pastor is not accountable to anybody. There is no church council, church board or a group of elders to keep him accountable. Pastor Jose claims that his accountability is Rick Alanis all the way in San Bernardino. One of the ministers tried to explain to Jose that he over fleecing the people in the church and that he needed to let up on the offerings and the pledges. He tried to explain to Jose that the church would not be able to afford to stay afloat. Jose never listened. So these families left and everything stayed business as usual. I was in the men's rehab home during this time and boy was I busy. After I worked 10-12 hours a day helping build the church, as did the rest of the men's home I would have to go do a moving job or help cook dinner. Then I had to take a 3 minute shower and do house chores. If I was lucky I would be forced to sign up for General Assistance and earn welfare money to help support the home also. If I complained I was "not loyal" or I was "not dedicated to the cause." So the church was built and everybody was happy, well kind of. See everybody had given so much money that people in the church had to get food stamps and go on welfare. Then came the part of supporting the new church. Every week there would be a new pledge for the church building. People were already giving a 10% tithe to the church and then pledging 100, 200, 500, 1000 and even 2000 and beyond dollars to have paid with 6 months. Being in VOSR everybody had dreams to something great for God. Pastor Jose is really charismatic and is awesome in increasing your faith to be a preacher, a leader, a pastor, an evangelist or a Pastor's Wife someday. But if you are in leadership you have to lead by example and give first. If you are really serious for God and want to see the vision of Sonny Arguinzoni Sr come to pass you better give. I would hear things all the time like, "put your money where your mouth is," or my personal favorite, "you used to spend all your money on your dope but you can't spend it on God?" There was times where Pastor Jose wouldn't let anyone leave the building until they pledged money. Former Assistant Pastor Richard Contreras even joked about putting a ATM machine in the foyer. One couple went to Cape Town, SA to help start up the worship team for the new Pastors James and Anna Brady. Before they left, the church picked up a huge offering for musical instruments. When they got there all of the money had already been spent on other things. When they asked where the money was James Brady said that he decided to use it on something else. There was a couple that sold everything they had, and gave up jobs to go start a women’s rehab in Cape Town. When they came home they had no support from the church. A man was sent to Santa Rosa to be a missionary in Cape Town. A huge offering was picked up for him to go. A year and a half later he still hasn't gone. When asked Pastor Jose said that the Lord hasn't given him the green light yet. When an ex member called the church office about the $100 that she she gave for the missionary and if she could get it back, she was told that they would look in to it. That was 3 months ago. Pastor Jose drives a beautiful Chrysler 300 with 20 inch chromed out rims. He wear the best clothes, has the best watch and has all of his and his wife’s needs taken care of by the church. His wife is on payroll also, but mysteriously never works a day in the office and is never available to talk to anybody. His wife even sells knock off purses. When she was confronted about it by a female member of the church, she was ostracized by the church, and treated like an amish kid that left the farm. Between 2004 and 2006 there was a Pastor by the name of Richard Contreras from the South Asia area that came to VOSR on a sabbatical. He was having his own problems with women and money that he needed a break. The congregation at VOSR was told by Pastor Jose that he was here to recuperate and get his health in order. So Richard fit in well. He was very loved and embraced by VOSR. He was a big time Pastor in VO so he had a lot of influence. Richard started to work for a millionaire by the name of Giovanni from the VO in Las vegas. This guy was a Real Estate developer and also made a living on getting people that would never stand a chance a loan. Pastor Jose loved him so much that he had him come to VOSR and preach to the congregation. The sermon was basically about prosperity and how God wants to bless you. Then Richard started wanting people in the church to own their own home. He pumped it up to the point that everyone would have a chance to own their own home. So tons of people bought in to it including Pastor Jose. The big gimmick was get a home and $10,000 back in cash. Richard pulled strings and got Pastor Jose, Assistance Pastor Elias Gaitan and a lot others their chance to buy a home. He even made it possible for the church to purchase the women’s rehab home. Then it all came crumbling down. Everyone's home became foreclosed and Richard was nowhere to be found. He even left left his wife without telling her. Since then business has been usual for Victory Outreach. Lot's of key leaders have left along with other congregation members. If you were to go in to a service or ask somebody you would here them say that the devil got the best of them or that they were not loyal to the vision. or you would here them say that VO isn't for everybody. The writer of this complaint later recanted on his statement (a year and a half later), though it seems there may have been a coercing influence behind it judging by his reasoning. Read and judge for yourself. This model of analysis is based upon the work of Robert J. Lifton, Margaret Singer and other well respected psychologists and cult experts, and is used by many professionals in the field to distinguish between destructive and benign cultic groups. According to this analysis model, the documented allegations against Victory Outreach church raise numerous red flags in all four control categories, thereby defining this organization as a destructive highcontrol/ high-demand cult. According to the complaints we received and those found online, we believe Victory Outreach seems to be functioning as a destructive cult that is manipulating and exploiting its members. A significant amount of ex-members describe Victory Outreach in very negative terms, which in our opinion is a testament to what is actually going on within the organization. To summarize the complaints, Victory Outreach has been described as a “spiritual pyramid scheme” with founder Sonny Arguinzoni and his leadership benefiting at the expense of the free labor of the lower members. Ex-members have reported that they were forced to work long hours without pay and that they were deprived of basic needs like food, sleep, recreation time and were forced to live in overcrowded, unsanitary conditions. There are complaints about brainwashing techniques in order to keep residents in submission to the leadership. To date the Attorney General, the Sonoma County court system and the California Department of Labor have all failed to respond to our complaints. The Health Services Department said that they could not help in the matter. The District Attorney’s office, however, is currently in the process of investigating these claims and we will update our expose with any and all information related to the investigative efforts of these agencies, and hope that they will perform a thorough investigation of this church.